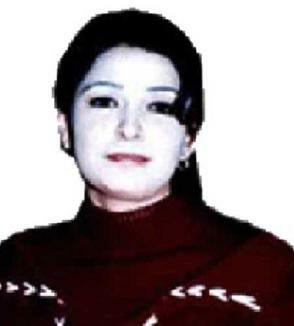 Du’a Khalil Aswad, 17, Kurdistan, Iraq. 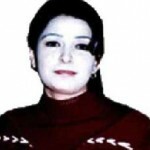 In April 2007 a video appeared online of the murder of Du’a Khali Aswad – a 17-year-old Iraqi of Kurdish Yezidi origin who was stoned to death publicly by a mob of men. World wide media repeated claims from online sites that she had been killed because she converted to Islam and wanted to marry her Muslim boyfriend. On 7 Apri 2007 Dua was returning home from a shelter after her family pleaded with her to come home and said she was forgiven. Instead Dua was met in her city of Bashika by over a thousand men. Some of the mob filmed Dua’s slaying on their phones. Footage shows a dark-haired girl dressed in a red track suit top and black underwear with blood streaming from her face as she tries to rise to her feet she is kicked and hit on the head with concrete blocks. Armed and uniformed police stood by watching her being killed. Dua’s stoning lasted approximately 30 minutes. Dua can be seen in the video attempting to sit up and calling for help as the crowd taunts her and repeatedly throw large chunks of rocks and concrete on her head.. No one tries to help Dua as she is battered to death. Some clips show her lying on the road naked while her face is covered with blood and still breathing. 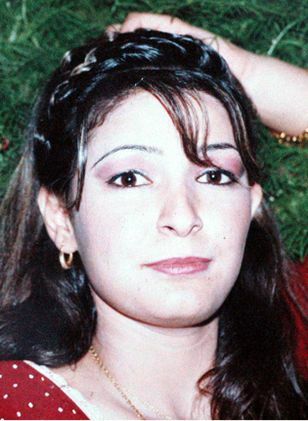 After Dua’s death in the town square, she was tied behind a car and dragged through the streets. Some reports claim that she was buried with the remains of a dog, this claim was later shown to be untrue. Eventually, Dua’s body was exhumed and sent to the Medico-Legal Institute in Mosul so that tests could be performed to see whether she had died a virgin, results from these tests confirm that Dua was in fact still a virgin. Police in Bashika made two arrests for the murder but had to announce that four others who have been implicated, including two of the victim’s uncles, escaped. Kurdish authorities have introduced reforms outlawing honour killings, but have failed to investigate them or prosecute suspects. Hope this link to Youtube works. Thought to share this memory of last year when I stood with others in Trafalgar Square in London to protest against executions. As murdering by means of honour killing is a form of execution, Du’s was remembered also and I was proud that the organizers played my song at the protest, which was also on John Lennon’s birthday. Never forget Du’s………….. Truth is, Du’a did nothing wrong to begin with, culturally or otherwise. As is stated in the yezidi human rights group: “anyone can leave the yezidi religion anytime he or SHE wants to”. Du’a was leaving the yezidi religion as was her right. After that she could convert to whatever religion she chose. Including Islam. Those cowardly yezidi demon men murdered an innocent woman. Something they will never admit to. Those cowards even threatened my life on you tube when I took a stand for Du’a. Whata joke!!! :-p. Rest in peace, sweet Du’a Khalil Aswad. HERO. FRIEND. SISTER. INSPIRATION MARTRE. ANGEL. LIFE. Those yezidi demon cowards can never hurt you again. Love eternal from all the civilized world!! !